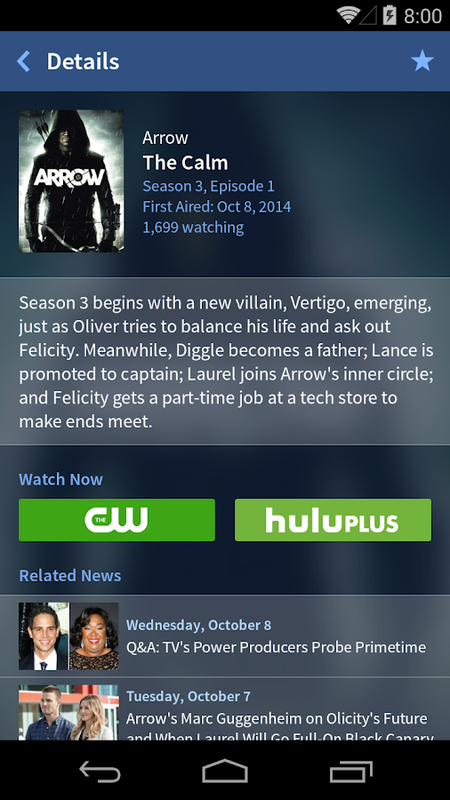 TV Guide’s official app is your one-stop, 24/7 TV companion and our best listings guide ever. It makes TV simple again, and helps you never miss your favorite shows. Please keep your feedback coming — what you love, what you don’t and what you want to see next. Keep up with your favorite shows, sports leagues, movies and actors. Find out where to watch them, and easily open the TV or streaming services directly from the app. Get alerted based on your personal preferences! 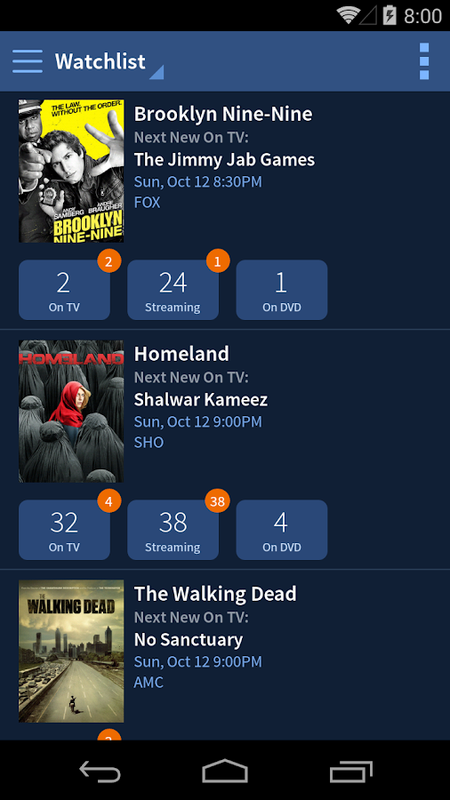 Easily add new shows or update your Watchlist at any time. 1. 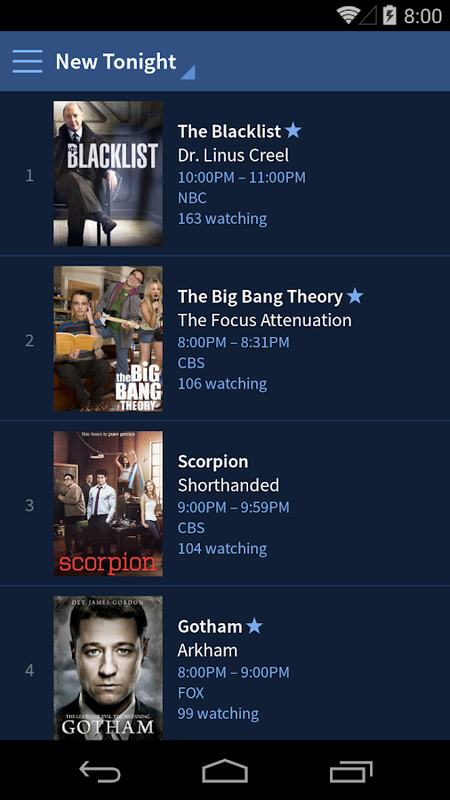 Set up alerts and never miss a live airing by adding a show to your Watchlist. 2. Easily personalize your listings by adding more shows to your Watchlist. 3. Filter by HD-only and your favorite channels. 4. Quickly jump to what’s on tonight or any other day in the week. The best in TV breaking news, features, videos and photos, curated by TV Guide’s editors.